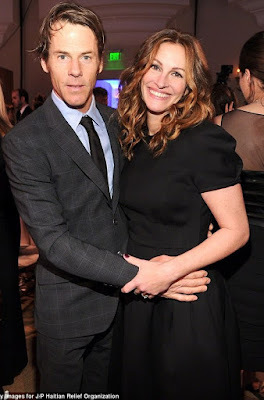 Julia Roberts is in deep obsession with her husband of 13 years! This is so sweet to hear that a couple married for 13 years are still obsessed by each other,especially in Hollywood. revealed that they were still madly in love...13 years after of marriage. When asked if there was anything she is 'obsessed' with, the actress pointed to her husband, saying, 'He's right there.'. The two laughed and kissed and Daniel said he was also obsessed with his wife.